Ulmus glabra var. 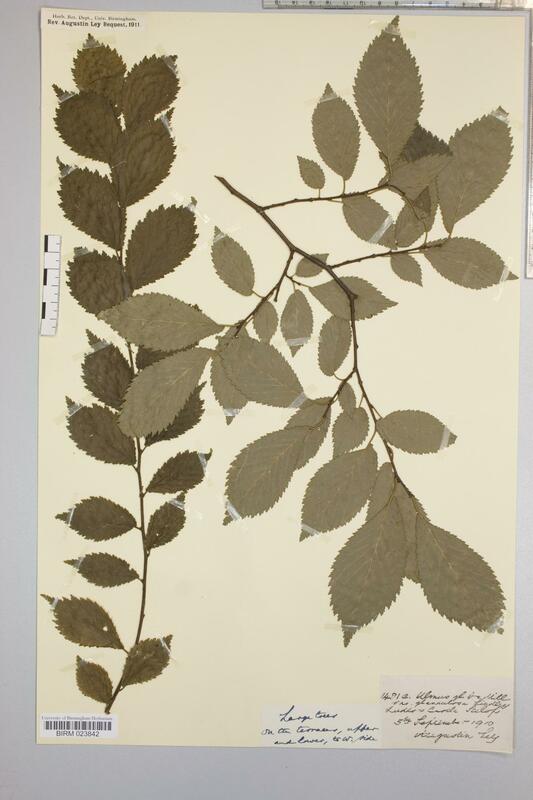 glandulosa herbarium specimen from Ludlow Castle, VC40 Shropshire in 1910 by Rev. Augustin Ley.